Sony just rattled our mailbox to let us know that, presumably just as a single copy of GT5 Prologue was slid into a plastic bag and handed to a customer somewhere in Japan, that the combined sales from the Gran Turismo series have now reached 50 million units in the ten years since the series debuted on PS1. Attached to the press release is a handy guide to just how many copies of each game have been sold, but if you simply must know now, the highest-selling title (by a fairly comfortable margin, too) is GT3, with the god-awful GT4: Prologue registering as the poorest-performing of the lot. Tokyo, May 9, 2008 - Sony Computer Entertainment Inc. (SCEI) announced today that the cumulative worldwide shipment of the Gran Turismo™ franchise, a genre-defining racing and car-life simulator available on PlayStation®, PlayStation®2, and PLAYSTATION®3 (PS3®) computer entertainment systems, has exceeded 50 million units as of April 30, 2008. This remarkable sales figure was achieved in just 10 years and 4 months since the launch of the first title in the franchise - Gran Turismo, in December 1997. The Gran Turismo franchise, from the original Gran Turismo to the latest Gran Turismo™ 5 Prologue, has continued to evolve alongside the PlayStation platforms. With its outstanding game play, beautiful graphics and the true to life driving feel, the franchise is recognized as the world's number one automotive game title on the PlayStation format, receiving high regard not just from game fans, but also from professional racing drivers and people in the automobile industry. The seventh installment of the world's best-selling racing franchise, Gran Turismo 5 Prologue introduces entirely new entertainment modes by taking advantage of the broadband network, such as online head-to head racing for up to 16 players, "GRAN TURISMO-TV"; a new in-game online channel that delivers automotive video contents from around the globe, and downloadable additional contents including new cars and courses, only possible on PS3. Gran Turismo 5 Prologue has recorded strong sales since the first launch in Japan in December, 2007, followed by North America and Europe in Spring of 2008, with more than 2 million units of cumulative shipment worldwide and contributing to the further expansion of the PS3 platform. 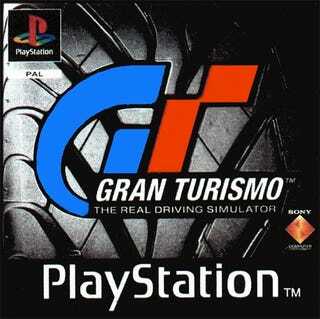 "Initially, "Gran Turismo" was an "alternative" racing game, kind of an outsider in the genre." said Kazunori Yamauchi, Producer of Gran Turismo on a press release on Kotaku. "And we made it thinking that it would be okay as long as it reached out to "the select few who would agree with us". So this figure, 50 million units - is simply astounding. If you go to a game store and look for a particular package, and pay for it at the cash register, though the time may be very brief, it still takes at least 3 minutes or so. It's simply mind boggling and hard to believe that this has been repeated 50 million times all around the world in the last 10 years. I would really like to thank all the fans who have supported the Gran Turismo series over the years, for all their passion and love of the game. We'd like to continue making every effort to create cutting edge, high quality games, so that we don't disappoint anyone's expectations.